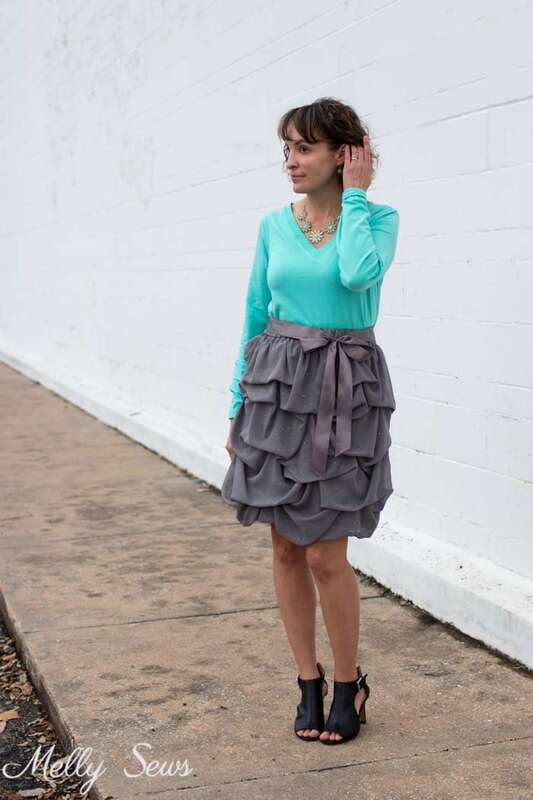 I love when dressy is also comfortable, and thanks to warm central Texas weather (it was 76 here on Christmas) I got to combine my V neck t-shirt with a knee length pickup skirt and peep toe shoes. But if you live somewhere cooler, you could also add tights and closed toed shoes, as well as a coat, to warm this up for winter wear. 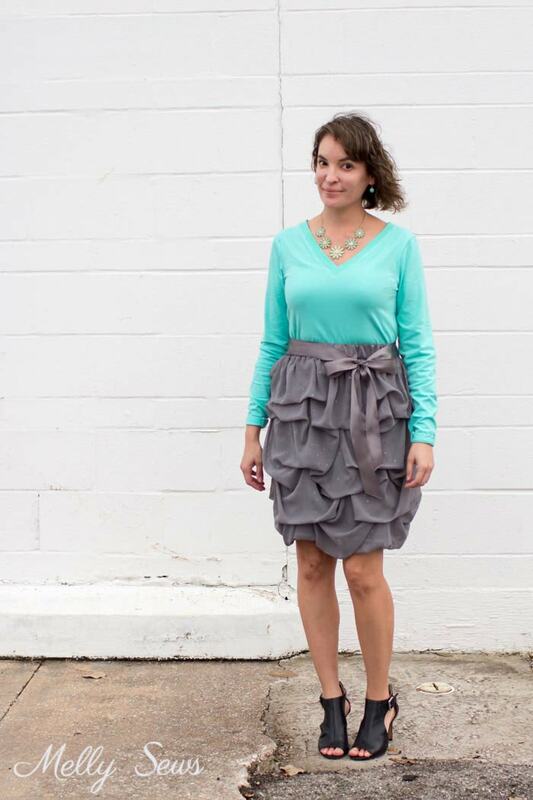 The skirt is a sparkle chiffon and I sewed it in an episode of Sew it All TV, which you can actually buy for $1.99 here. 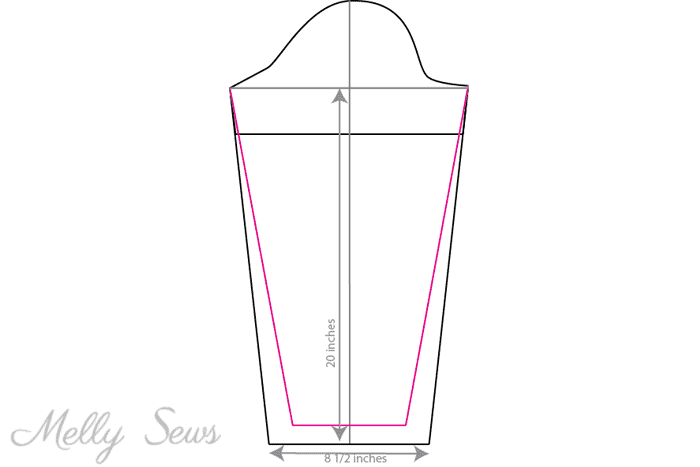 Or you can see this tutorial I did, and just modify it to have an elastic waist instead of a bodice. The shirt pattern is actually from my Women’s V Neck pattern and I just lengthened the sleeves as shown below. 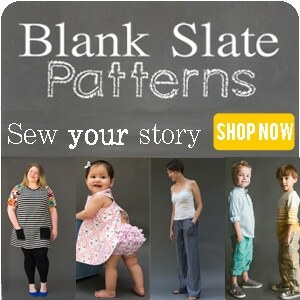 Head on over to that post to get the free pattern and instructions to sew it together. HOWEVER – you can see that sleeve length is both an easy and complicated thing from these pictures of me wearing the shirt. So the black line drawing is what I did and the pink line is what I should have done. The original T has a little bit of a slouchy fit, particularly under the bust and in the arms. 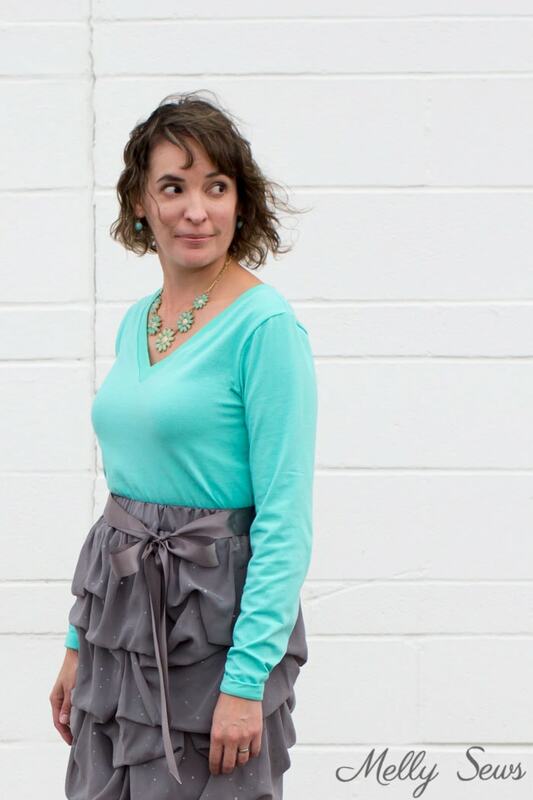 While that works well with a short sleeved t-shirt worn with jeans or joggers, when tucked into a skirt with long sleeves, other issues arise. If you look closely, you can see that first of all, I made the sleeves too long. I cuffed them for these photos, because otherwise they looked messier and came to my knuckles. You can also see that the weight of the sleeves starts to pull the shirt off my shoulders, so I start getting lines at the bust that make it look like I need a full bust adjustment and sloping shoulder adjustment. 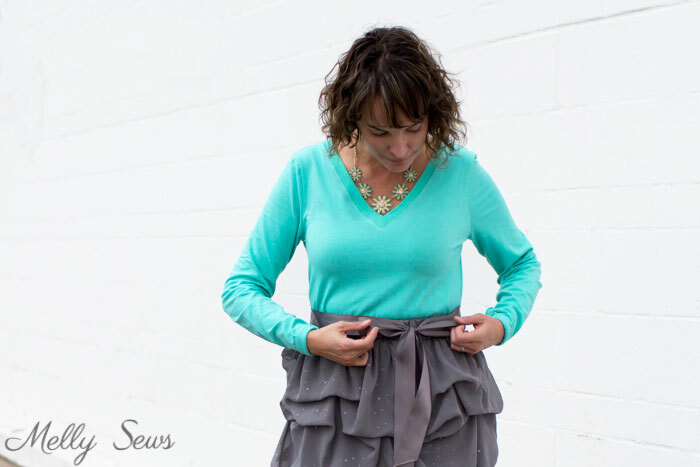 In truth what I need to do (and will do) is make the sleeves shorter and slimmer, so that they help hold themselves up on my arms instead of pulling the shoulders off my body. Not only would slimming the sleeves improve the fit on me, it would make this tshirt suitable for layering, which it is not currently. But living in Austin I rarely layer anyway, so that’s not necessarily a dealbreaker. Secondly, I think I need to take this shirt in below the bust if I want to continue to tuck it in (which I’m not sure I do want to do) as it’s just a little too slouchy there to be comfortable when I move around. I kept feeling the need to retuck and readjust as I wore it. I decided to post these pics anyway because 1) that is a really picky fit detail for many people, and 2) If I wasn’t tucking this shirt in and wanted a slouchy look, I totally have that kind of fit down. Cute! I need a good v neck pattern. I typically have to order them online to get tall length. Thanks for another great shirt! I think you look cute as a button!!! I LOVE a v-neck tee and that is about all I ever wear!! In fact, we are getting ready to go on a mini vacay and I will be taking a few crew tees along and turning them into v-neck tees while we’re driving. (note to self, don’t forget safety pins) But they are souvenir tees from sporting events or school teams, nothing work appropriate. THIS is the perfect pattern to use on some new knit fabric I’ll be getting with my Joann’s Christmas gift card!! 😉 Merry Christmas and Happy New Year Melissa!!! Your emails are always a highlight throughout the year! Very Pretty! 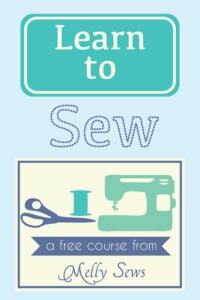 Thanks “SEW” much for All you do for the sewing community! Happy New Year to you ,your family and your team! Thanks for posting the shirt pics with the pros and cons of construction and your thoughts on it. Any clothing I make is always a better fit than anything I can buy as I have my own unique body sculpting that means I almost always need to adjust bought clothes. Summer here now but I’ll need some new long sleeved tops for Winter so now is the time to start and thanks for this pattern. Wishing you a Happy New Year!